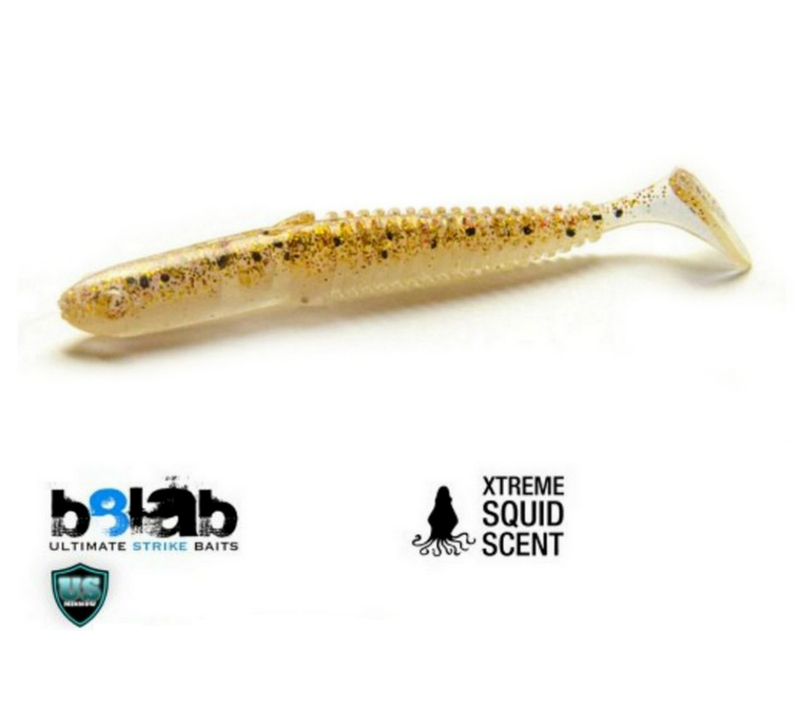 The 5 inch ULTIMATE STRIKE MINNOW is designed to be one of the best and most versitile paddle tail soft plastics on the market. The USM‘s deadly action and state of the art features, such as hook marks for quick rigging and fold slits for improved hook up rates, make this bait a a must have for both pros and beginners alike! Each pack of Ultimate Strike Minnows comes flavored with our Ultimate Strike XTREME SQUID SCENT – a catch enhancing flavor aimed to get the „big ones“ to strike! b: exactly where the hook is to guarantee maximum success when setting the hook during a strike. n the back of the U.S.M. you will find two pre-marked spots. These spots let you know where exactly your (jig)hook has to exit the lure while rigging to make sure it perfectly on the (jig)hook. The first hook mark is for 2/0 size (jig)hooks, the second hook mark for 3/0 size (jig)hooks. Thanks to this special feature, you no longer have to damage your lure by marking it the with the tip of your hook!